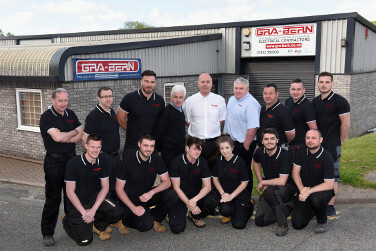 Gra-Bern Electrical Contractors are a well-established reputable company based in Telford, whose customer base is spread throughout the West Midlands and into the Welsh Borders. The company was established in 1976 and registered with the NICEIC in 1977 with founding partner Bernard Bowen only recently retiring in September 2010. Gra-Bern has achieved a steady growth and now boasts an excellent reputation within the industry with two partners and a contracts manager, organising eleven competent reliable employees, who are trained and qualified to the highest standards. Gra-Bern are members of the following nationally recognised industry schemes.